"We specialize in Drill and Blast Software. With this focus on one mining process, we are able to concentrate our expertise and resources towards providing a complete drill and blast solution. We are also able to respond effectively to specific needs of our customers." John Hutchings, Director. 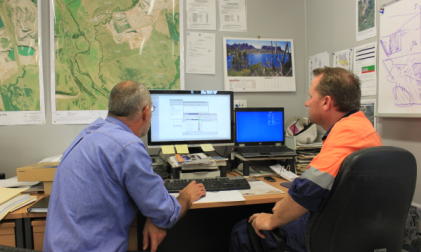 Datavis is an innovative Australian company with over 30 years of drill and blast experience. It was created by John Hutchings, a Drill and Blast Engineer, whose vision was to create the best and most comprehensive drill and blast management software system. This vision has resulted in a software product with all the tools for complete blast design functionality, data input and analysis, as well as a database which can store all the data for the life of a mine. Our mission is to get best practice drill and blast happening on your site. Contact us to show you how.